Ultrasound also know as Audiogauge when applied to metal boats has been used for for over 50 years. 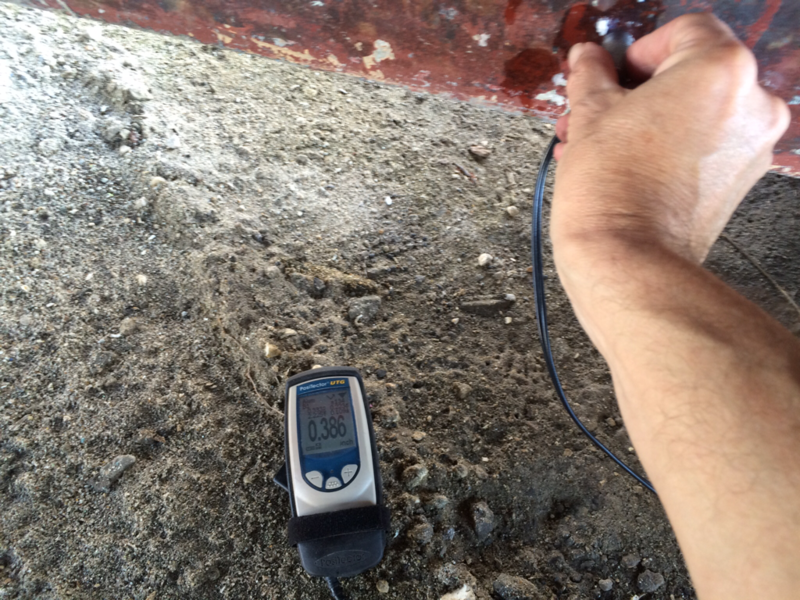 Ultrasound readings can be used to find corrosion and plate wastage in metal hulls, find damage and flaws in fiberglass and carbon fiber hulls. 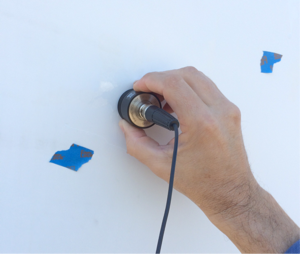 I often use Ultrasound and Thermal Imaging along with the sounding hammer in my inspections together. I use a multiple echo UT gauge that does not require the removal of any coatings to obtain a reading. Ultrasound can be very helpful in making out areas of composite and metal hulls that need to be repaired. This can save in unwanted time removing material that might not have been damaged.